The one 2 one sessions are exactly that, you and me! These sessions allow more time for individual feedback, video analysis and improvement. We can work on the techniques you have difficulty with, from the basics to advanced, the choice is yours. From Bunny Hops to Manuals to Jumping or even large drops. If you have the basics and just want to move to the next level or just don't want to be in a group, these sessions are for you. ​If you don't want to ride on your own, bring a friend to share the coaching. 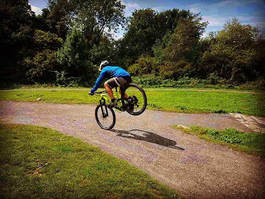 Core skills are the foundation of Mountain Bike riding. Techniques like, Maunal's, Bunny Hops, Endo's, Cornering etc, are essential if you want to improve your riding. The course will be tailored to your specific needs and at a pace you are comfortable with. ​Learning these techniques will vastly improve your riding. ​or a venue of your choice. You can choose 1, 2, or 3 hours. Dates to be agreed with you. Everyone wants to be able to jump, having a coach on hand to assess and fine tune your technique is the best way to progress. (not your mates saying "just send it") The course will be tailored to your specific needs and at a pace you are comfortable with. Starting with small jumps then moving on to jumps and drops you've always avoided! You will be amazed at what you can achieve. You can choose between Danbury, CycloPark or a venue of your choice. This course is for those riders that are looking for that little bit extra. 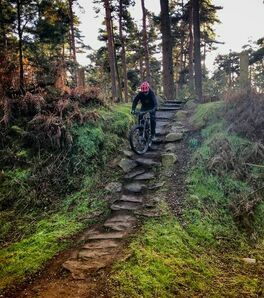 You could be new to mountain biking or a seasoned vet, the course will be tailored to your ability. Combining both the Core Skills and Jumps n Drops, with in depth analysis of each technique. Using video and GoPro to work on improving your riding. This course will vastly improve your riding to a level you thought out of reach. Jumps, Drops, you name it, your confidence will be sky high by the end of the day. 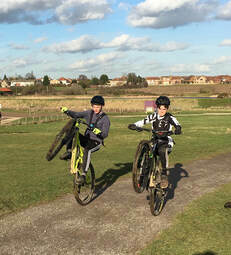 "Just wanted to say thanks again for yesterday John, myself and Barry had a get day and our confidence is overflowing now"
These sessions are aimed at Young riders who enjoy mountain biking and want to learn correct techniques. The sessions are also ideal for youth mtb racers wanting to further their racing skills and get faster. Each session will be tailored to the individual rider from novice to expert. If you have a friend or group of riders that want to join you, please contact me for prices. All one hour sessions will need to be when I am already at a venue. Want to buy someone an awesome coaching session, but not sure which one to get? No problem, just purchase one of the above sessions and we can send you a Gift Voucher and let them choose.